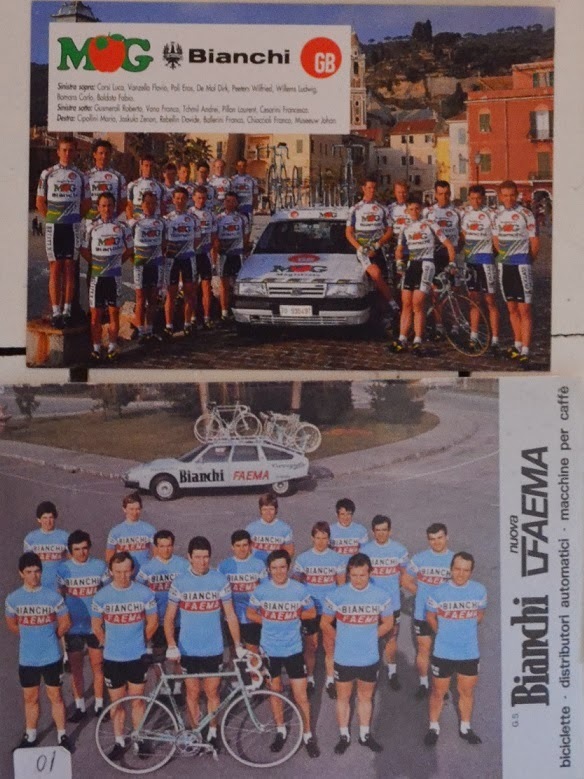 Here is some nice postcards of different team during the last 40 decades. 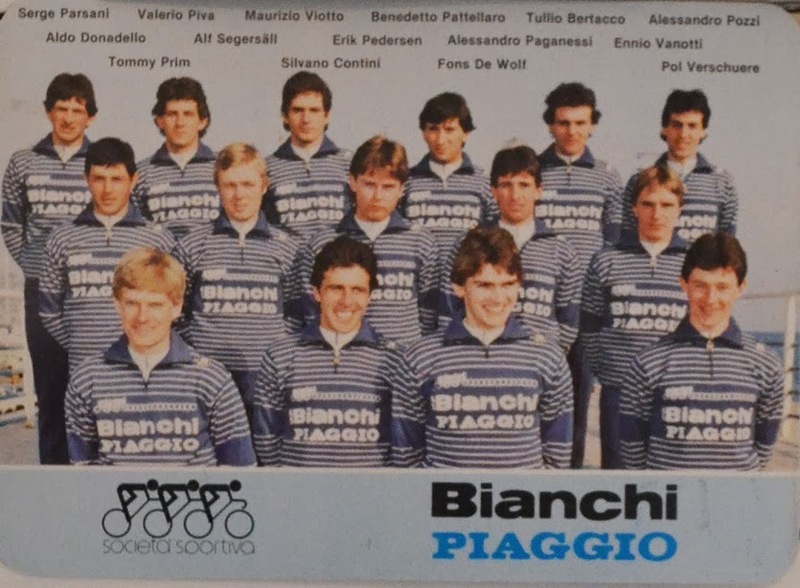 For a guy from Sweden is this really a nice postcard, several Swedes was part of this Team, in this photo we have Tommy Prim (Two 2:nd spot on Giro d´Italia) and Alf Segersäll. Team Gewiss Bianchi in the mid 80:s again a Team with a lot of Swedes into it. 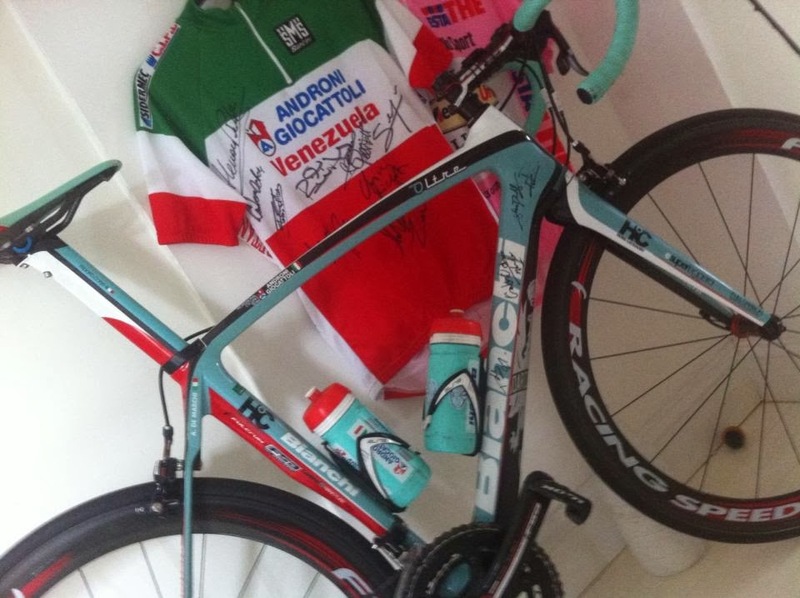 At this photo we see Stefan Brykt and Lars Wahlqvist. 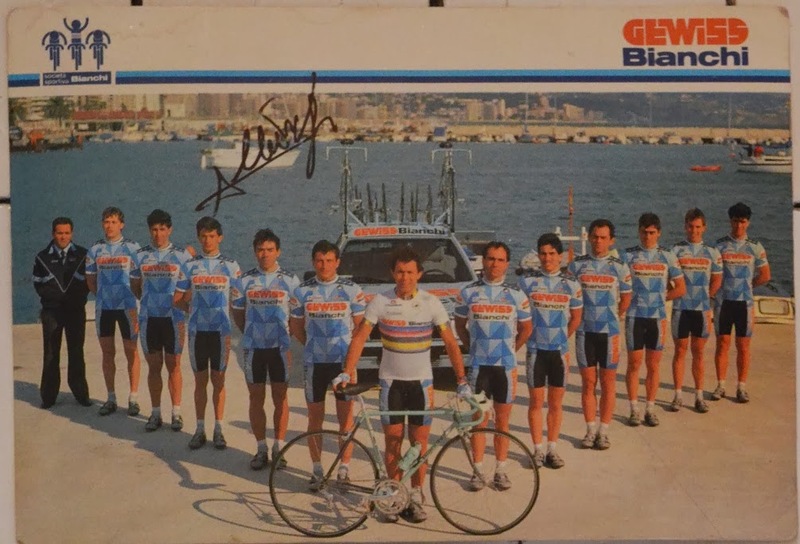 Argentin and Volpi and a couple more riders has signed this postcard. And as always if you clock on the image you see it bigger.